Hurricane Florence is bearing down on the east coast. In anticipation of the Category 3 storm's landfall, U-Haul is looking to help residents across the Carolinas and Virginia, which are projected to sustain the brunt of the storm's impact. 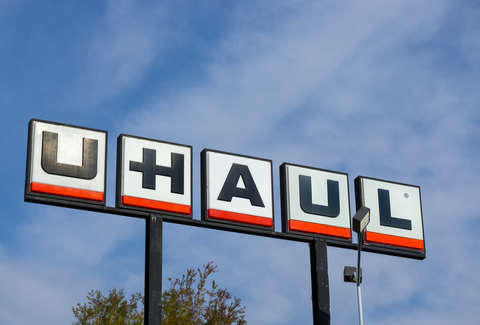 As residents are encouraged to evacuate along the coast, U-Haul is offering a little help in the form of storage units. Better known for its moving trucks, the company is offering 30 days of free storage at facilities across the region, in addition to usage of U-Box containers. More than 90 of its storage facilities have remained open, ensuring a space for residents in the path of the storm have a space to store some of their belongings. "People are preparing to leave their homes, creating an immediate need for secure locations where evacuees can bring the possessions they wish to protect," Doug Weston, president of the U-Haul Company of Western North Carolina, said in a statement. "As a member of these communities, we are in a position to help by providing this service to our friends who are in harm's way." The company has been inspecting those facilities over the last week, according to the Huffington Post, to ensure they're "clean, dry, and secure." The locations offering free storage include facilities across Georgia, North Carolina, South Carolina, and Virginia. U-Haul says "families needing more information about the 30 days free self-storage assistance should contact the nearest participating U-Haul store." Charlotte's WJZY has a list of the 94 facilities participating in the program.